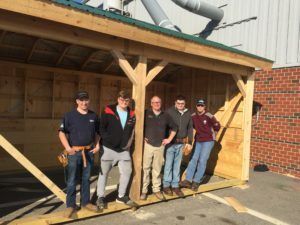 Students from the Building Trades Program have just completed an outdoor shelter for Riding to the Top. Riding to the Top is a non-profit therapeutic equestrian riding center located in Windham, Maine. 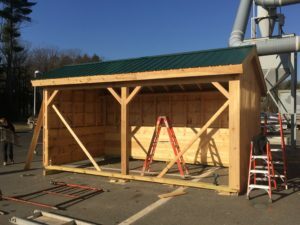 The shed is 10′ X 20′ with rough sawn boards on the exterior and metal roofing. The shed will be used in one of the paddocks to allow the horses to get out of the weather. Whether it is sun rain or snow. 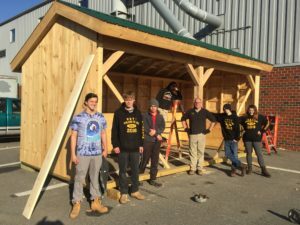 The students in Tech 1 and Tech 2 are shown in the photos below. Another project done well!